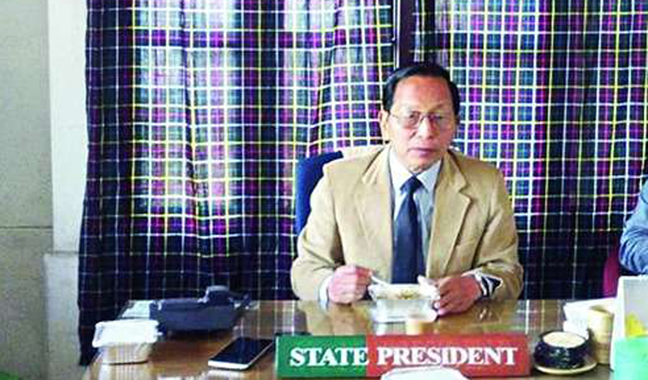 Citizenship Bill: Mizoram BJP chief threatens to dissolve State party unit! At a time when the BJP-led NDA government is trying to get the Citizenship (Bill passed in the Parliament, Mizoram BJP president JV Hluna threatened to dissolve the party unit in the state if the Bill is passed. Hluna said this while addressing a press conference here on Tuesday. The Mizoram BJP also urged the churches of Mizoram to pray so that the Bill is not passed. It may be mentioned that the Citizenship (Amendment) Bill, 2016, which was passed in the Lok Sabha, is yet to get Rajya Sabha nod. The BJP Mizoram president also informed the media that he had met the Prime Minister and the Union Home Minister requesting them to omit Bangladesh from the Bill. Mizoram borders Bangladesh where the people’s anger have stirred with talks of influx of Chakmas from the neighboring country, even leading the people of Mizoram to fear cultural assimilation if the CAB 2016 is passed.